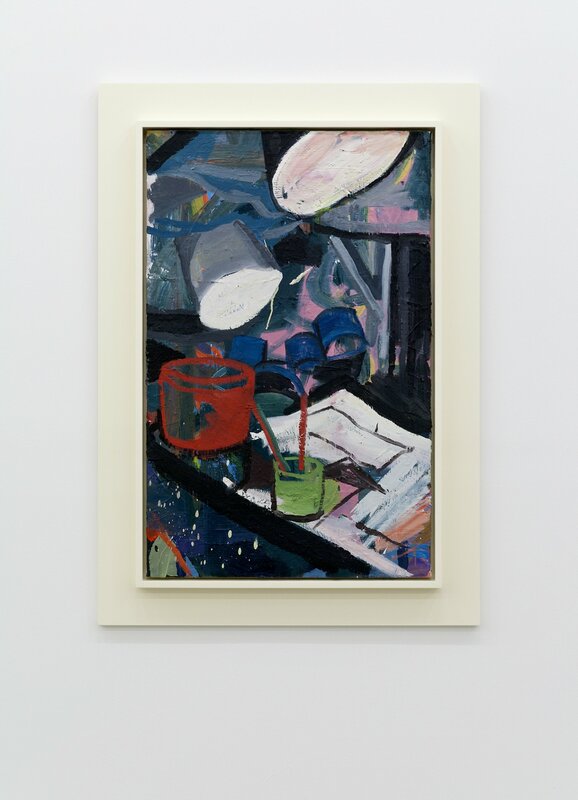 Catriona Jeffries is pleased to announce the forthcoming exhibition, The Sculptor’s Studio is a Painting by Damian Moppett. 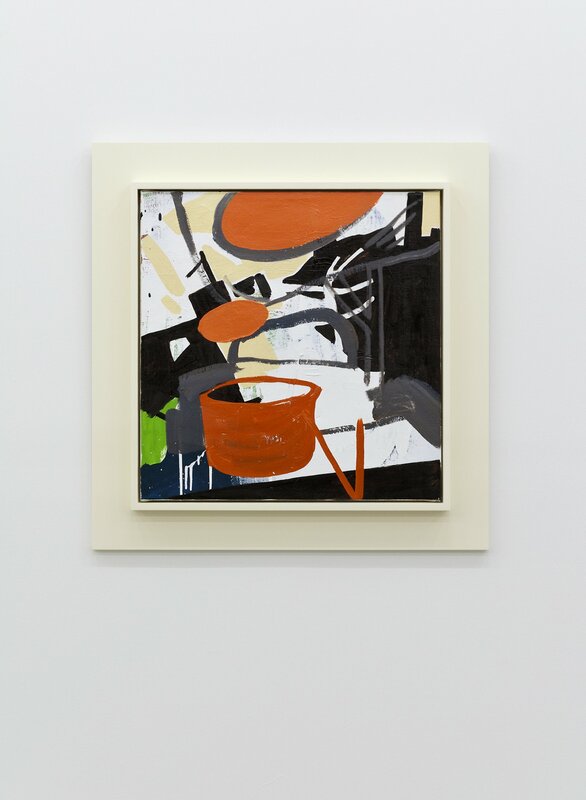 Working in an expanded field of production that includes painting, sculpture, photography, drawing and collage, this new body of work continues the evolving trajectory of Moppett’s studio-based practice. 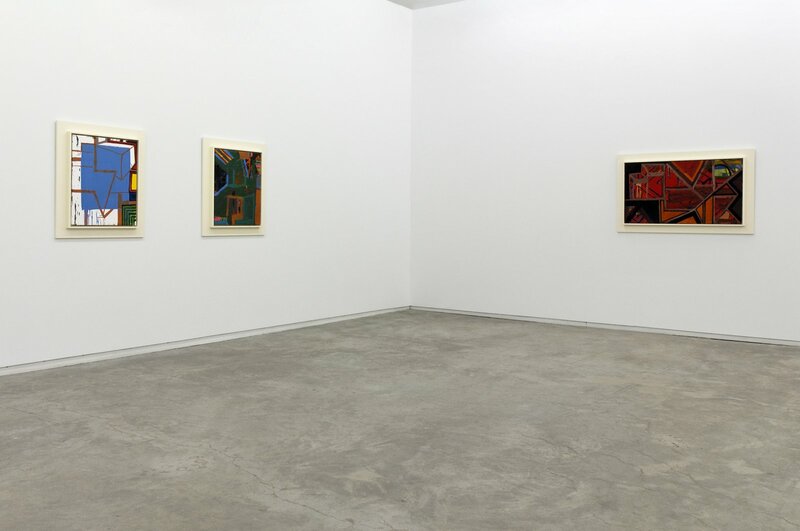 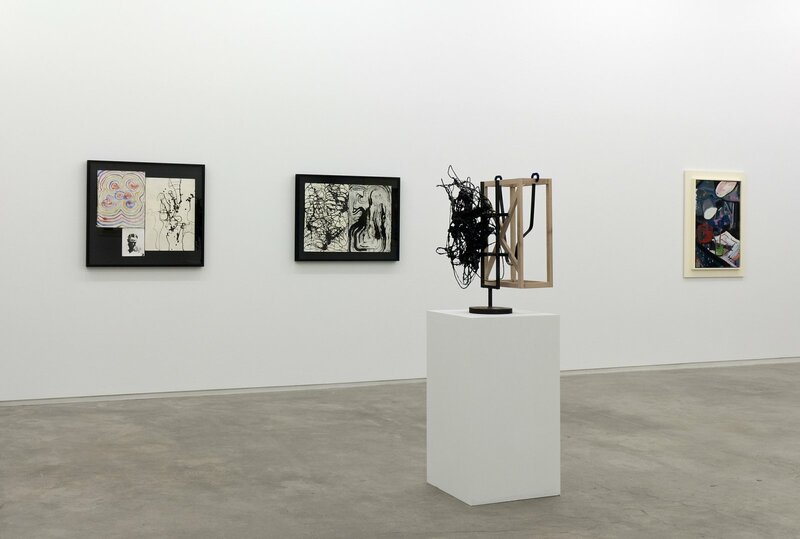 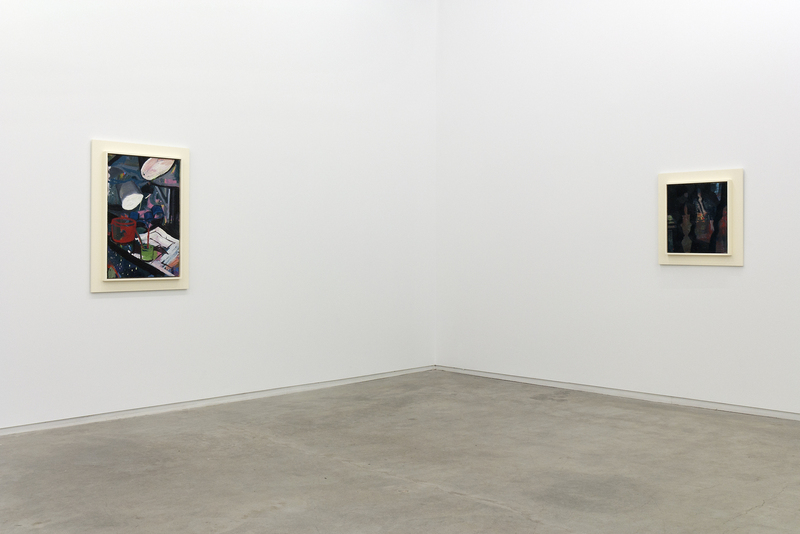 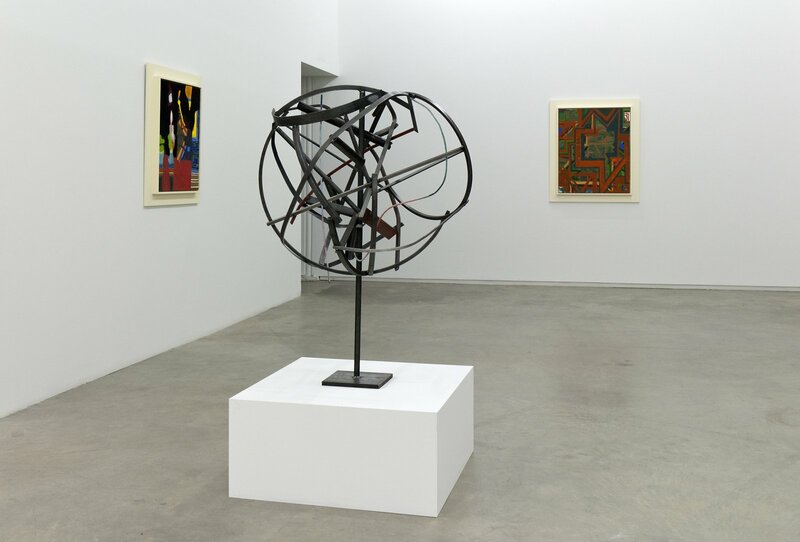 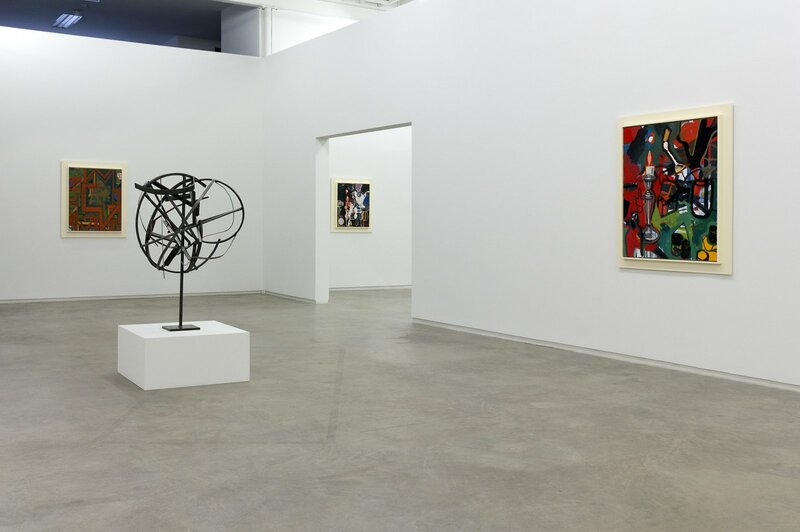 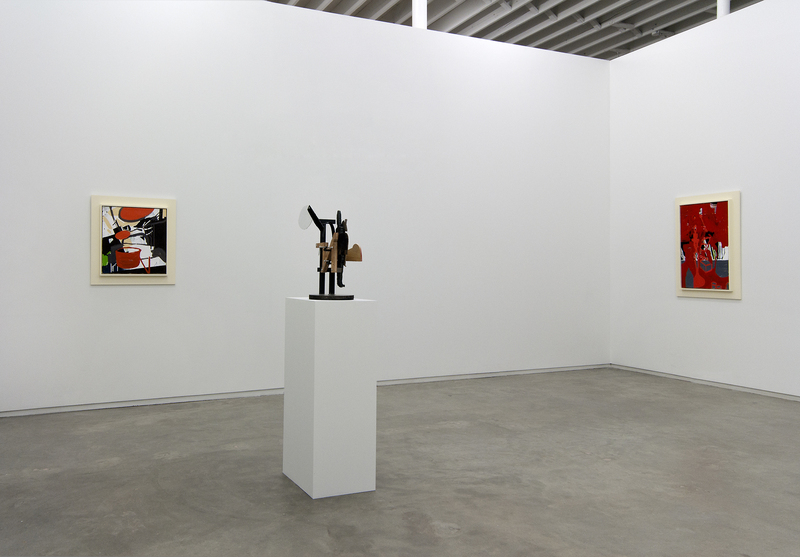 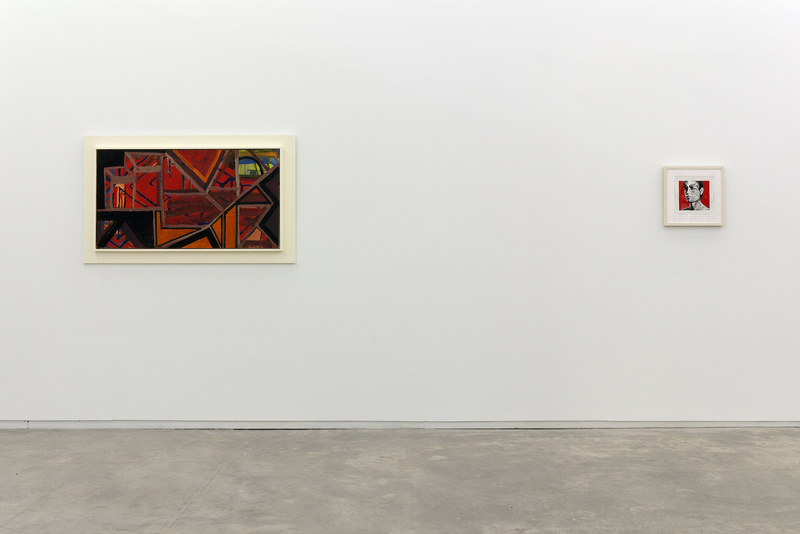 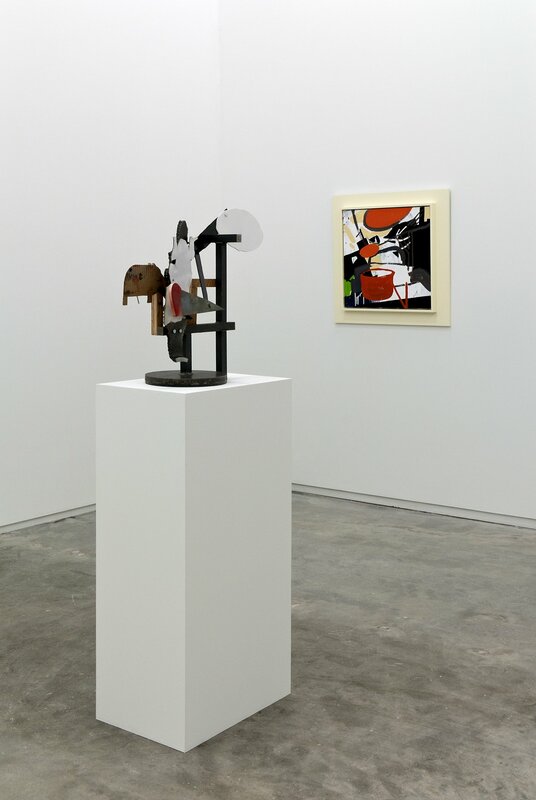 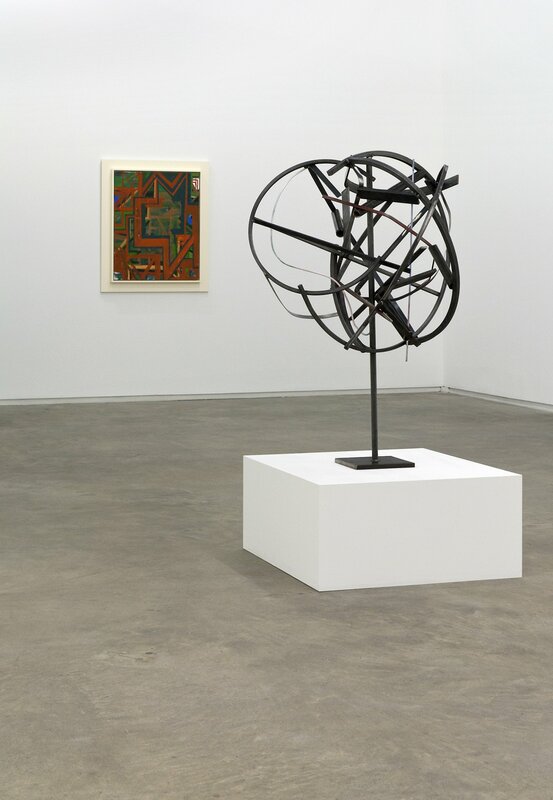 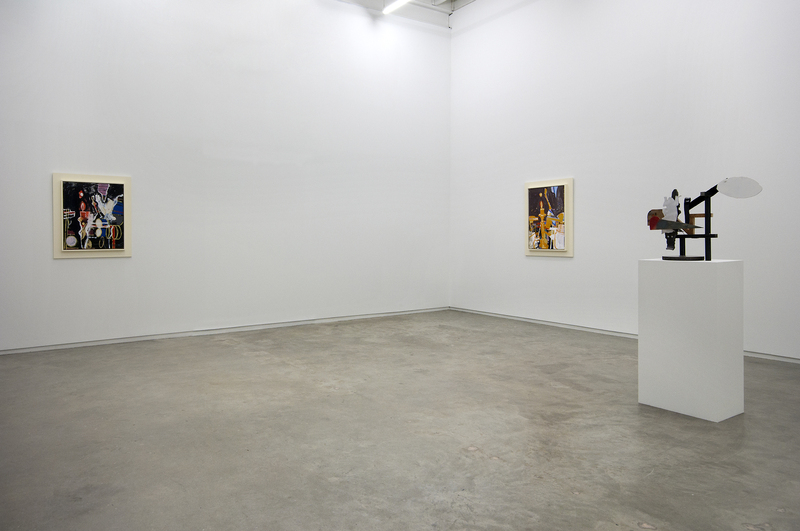 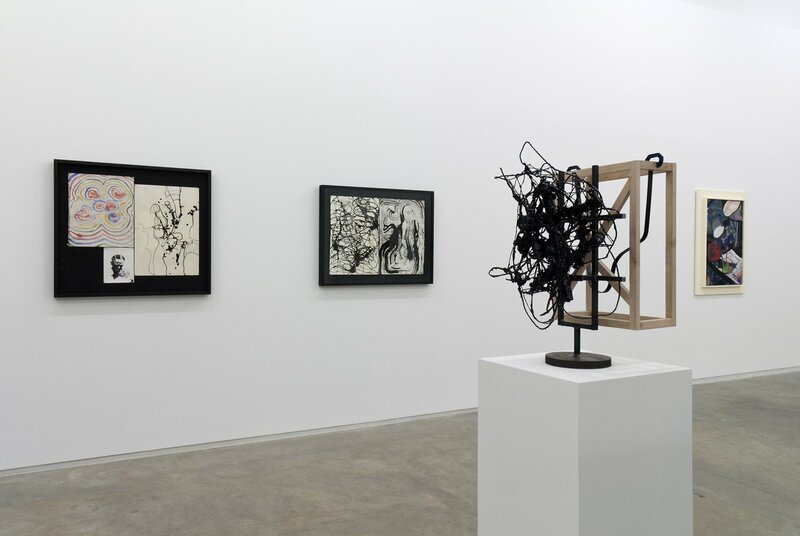 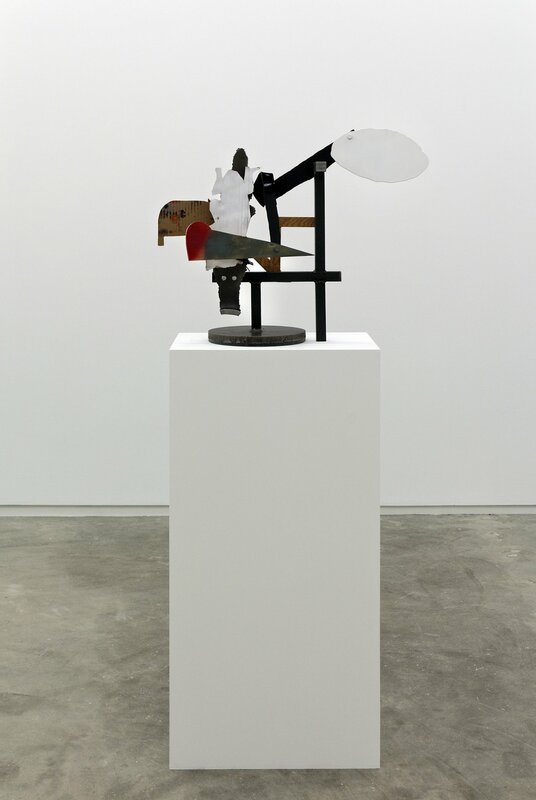 The paintings, sculptures and ink drawings which form the exhibition function as formal exercises where recognizable motifs from past works by the artist depart, through their process of making, into the realm of abstraction for the first time. 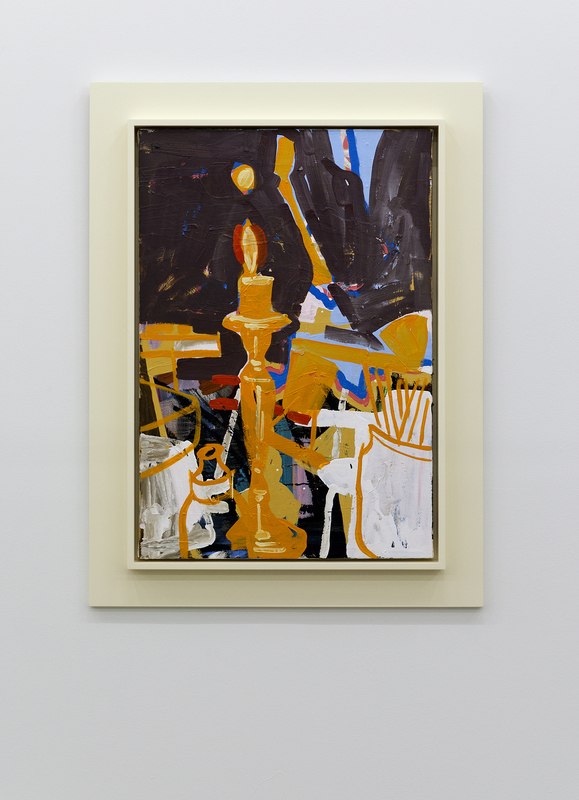 Materially methodical in their production, the works mark a departure for Moppett in their intentional disguising of art historical references. 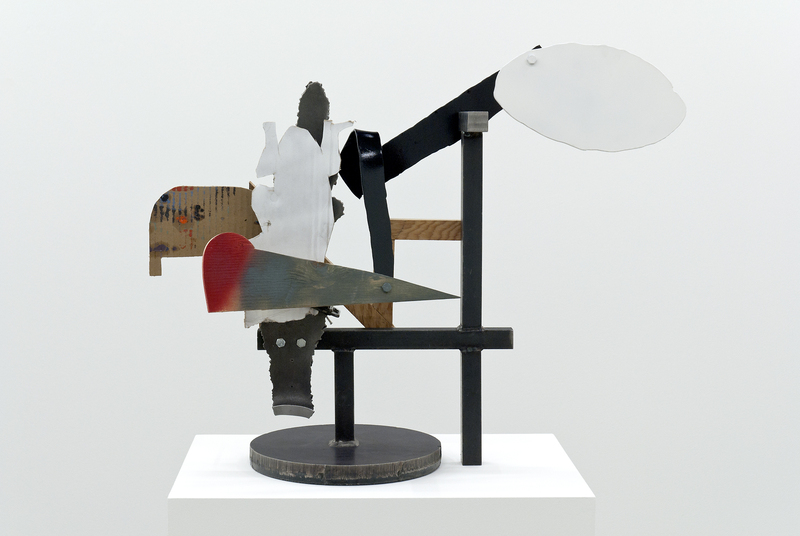 Rather than explicitly incorporating his usual nods to art-historical figures such as Guston, Brancusi, Moore and Caro, Moppett considers tropes of display which function to support the process of referral which takes the site of Moppet’s own practice as a scene of origin from which to draw from, thus creating a private and esoteric language of form. 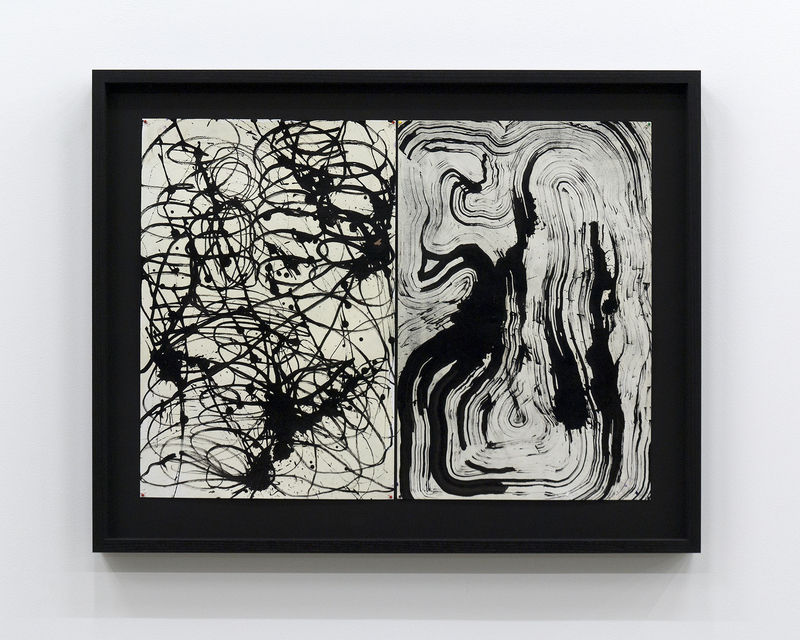 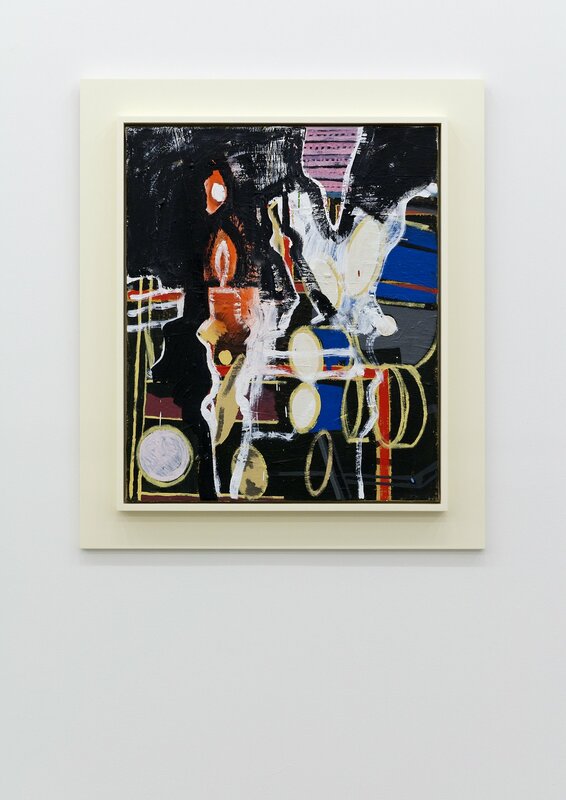 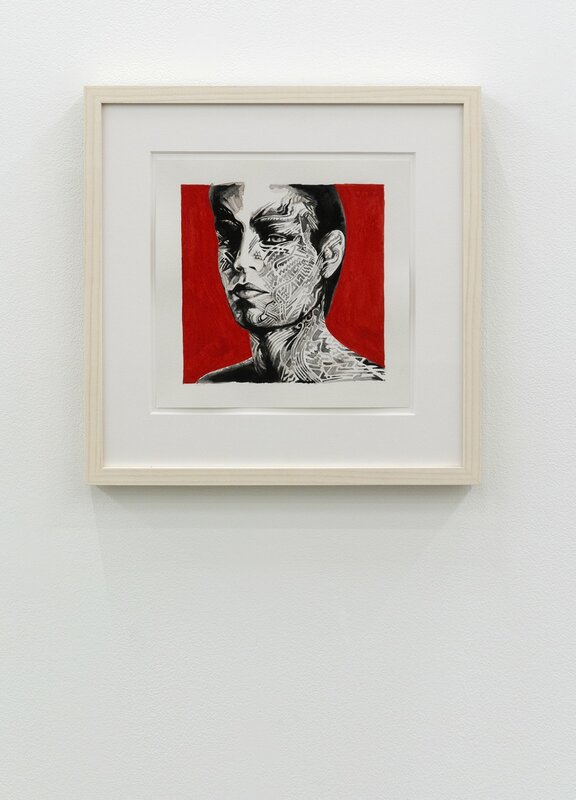 Continuing to add to the heterogeneous visual library from which he persistently extrapolates, the inclusion of a pair of framed ink drawings made during a recent residency in London, UK, are one of the myriad points from which the work began. 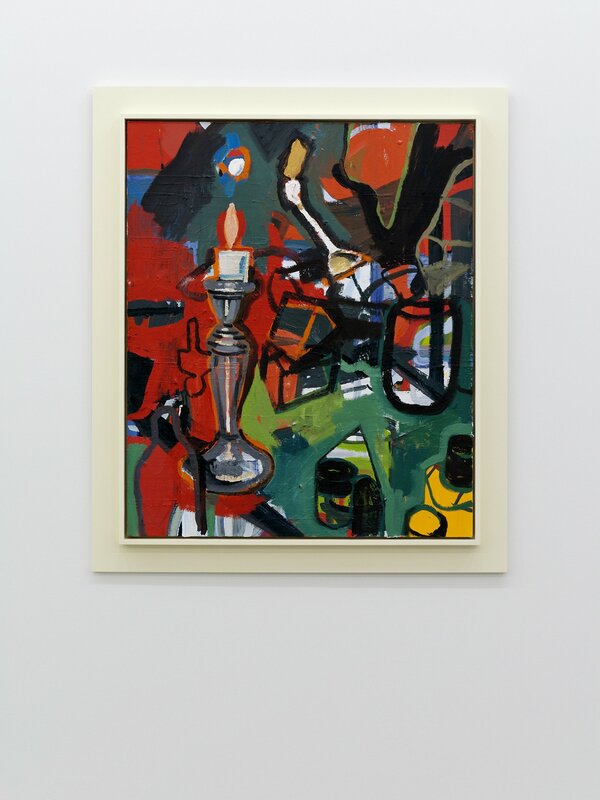 The image of the burning candle and the space of the studio appear sporadically, yet through Moppett’s impromptu means these recognizable images slowly disappear. 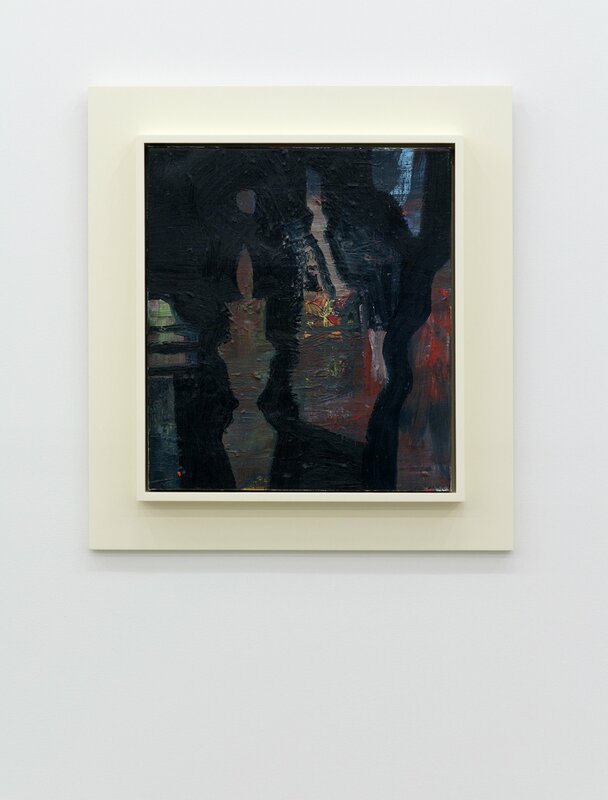 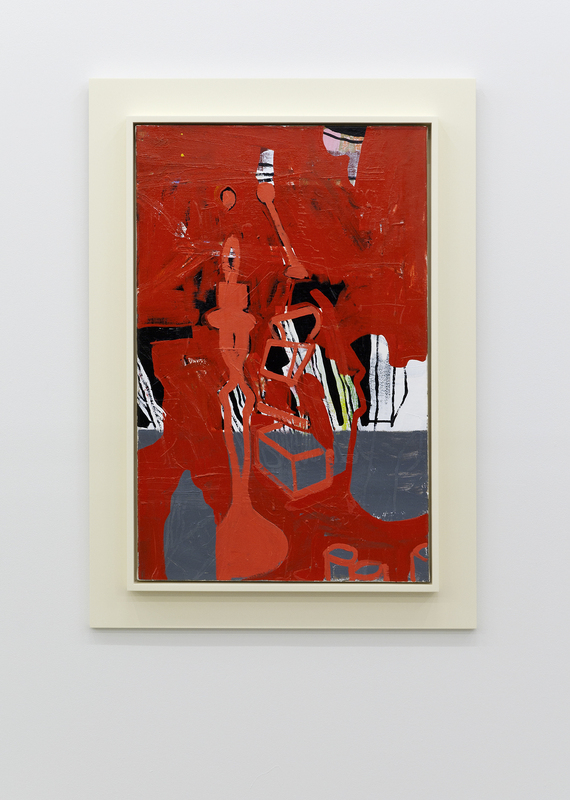 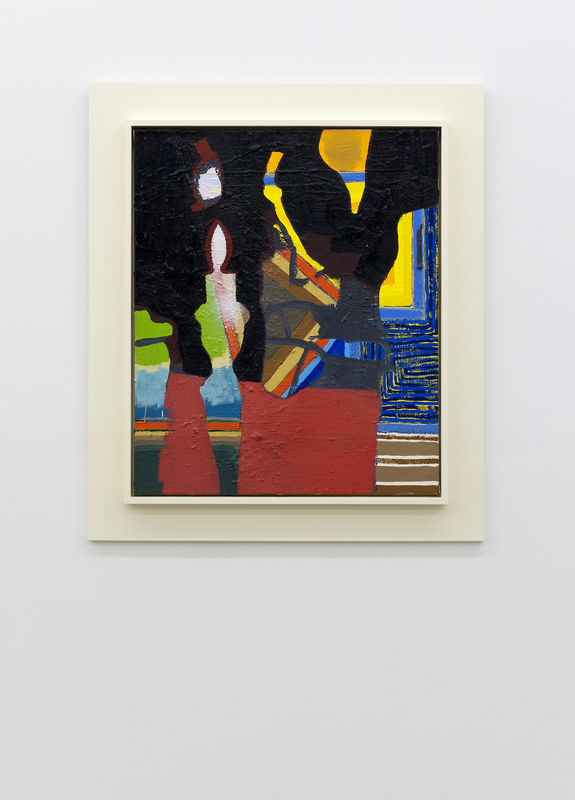 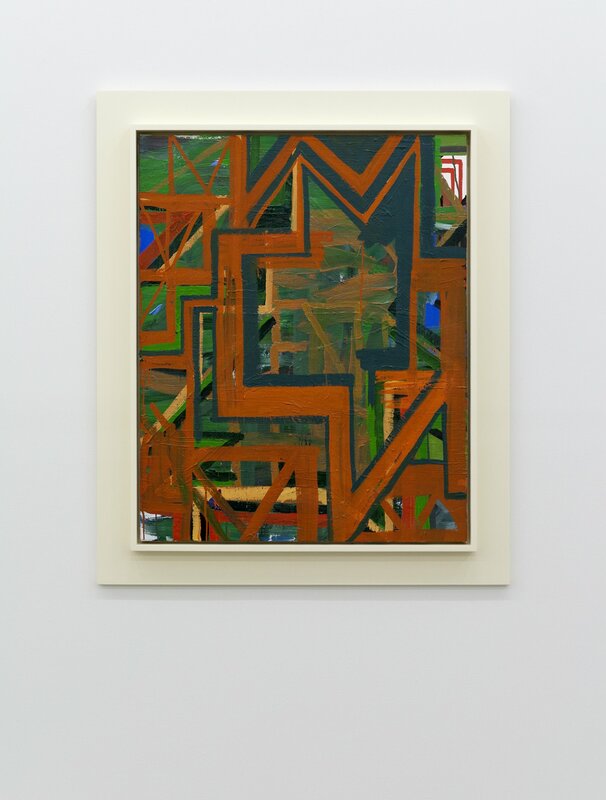 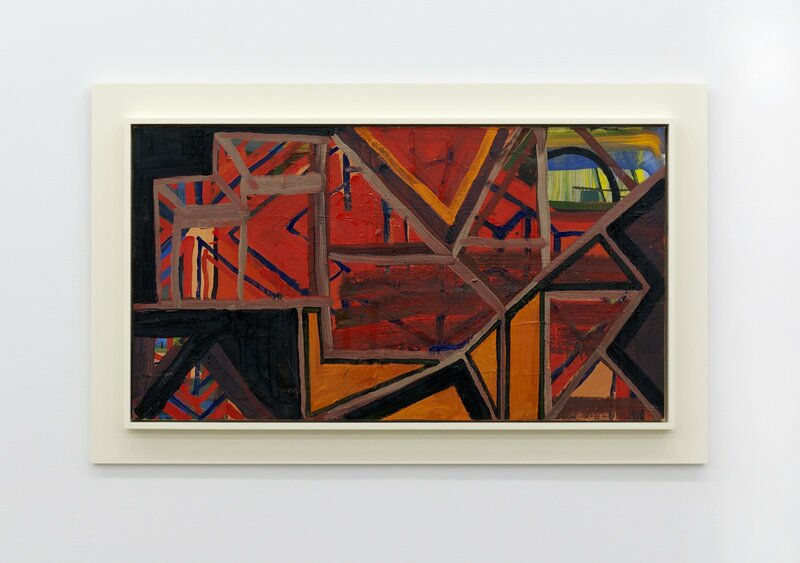 Shifting the focus to the incidental outlines and forms which appear through an accumulative and self-reflexive method, hermetic surfaces emerge which maintain the tangential and anachronistic nature of Moppett’s allusion to historical and subjective trajectories. 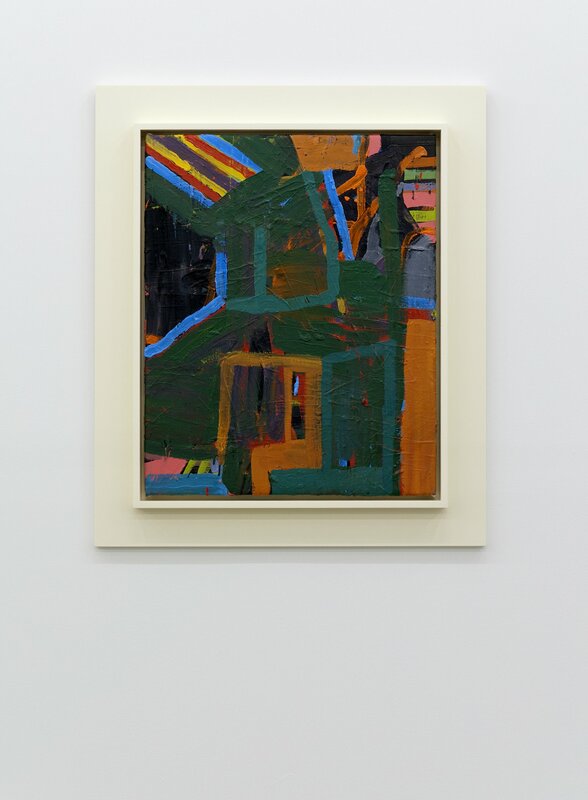 By creating the series of sculptural works in the same intuitive manner in which he creates paintings, Moppet is now able to fold the condition of the studio, the frame of painting and the sculptural arena into constantly shifting layers of visual language. 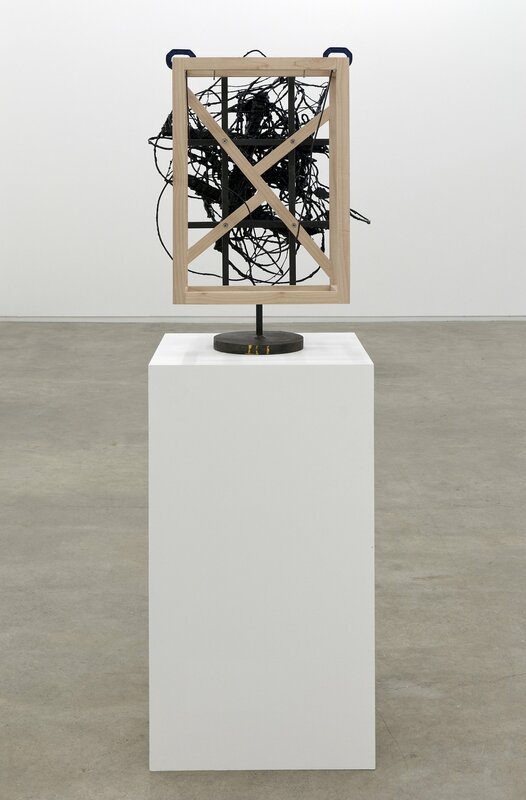 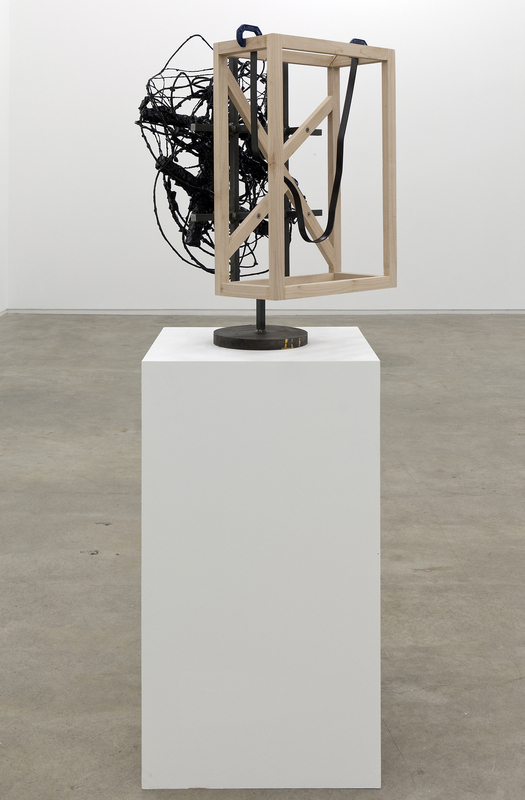 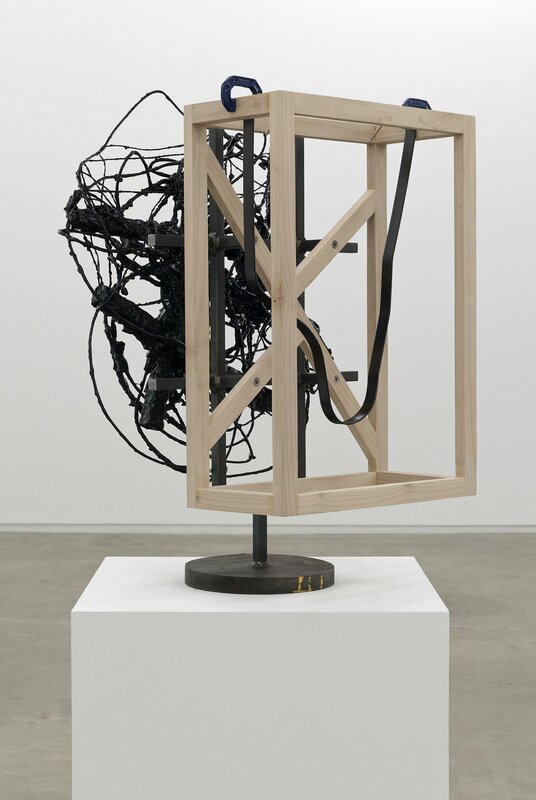 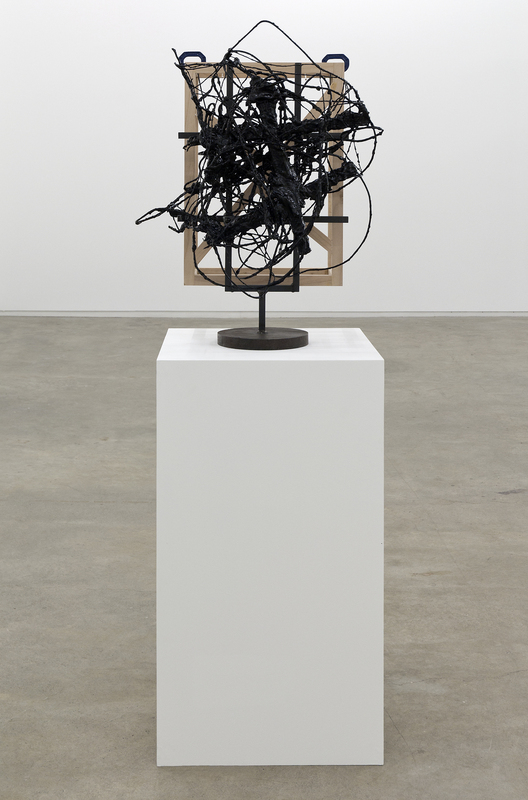 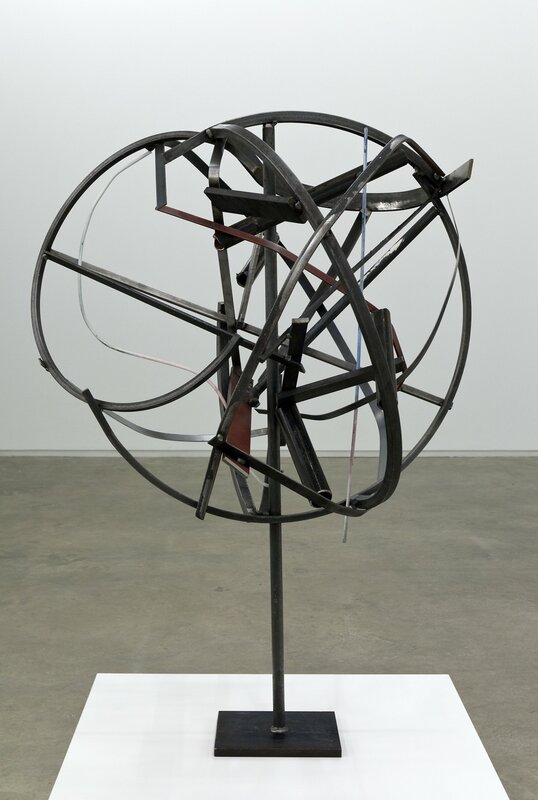 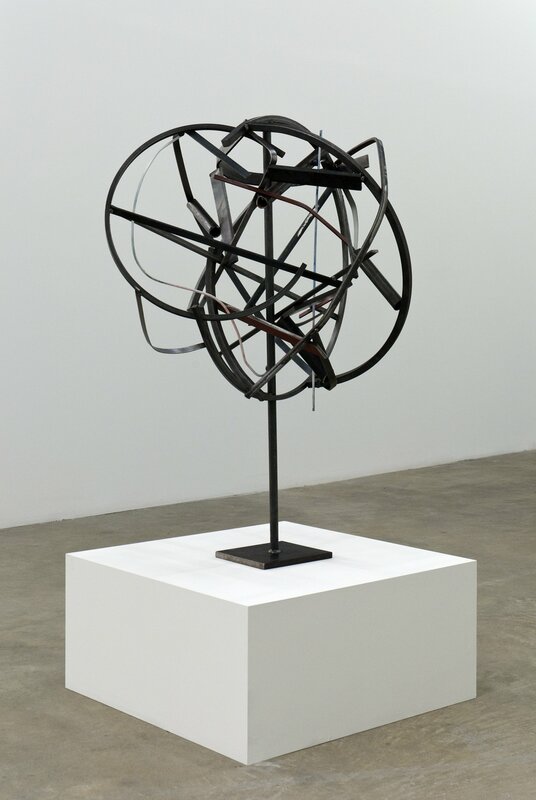 The historical specificity of the frames create a framework from which these arcane abstractions become self-aware of their status as objects and are thus able to transmute effortlessly from the surface of the canvas to the armature of sculpture and back to the space of the studio itself.